Parents today use their mobile phones to plan and schedule their lives. It is essential to have direct mobile access to sitters and nannies as well. Integration New Media, Inc. (INM), a leader in building engaging digital experiences, today announced the availability of a new iPhone application built for SOSsitter (http://www.sossitter.ca), a popular service that connects parents with local babysitters, nannies, senior caregivers and pet sitters. A follow-up to the popular SOSgarde application that was launched last month, this English application provides moms and dads with immediate access to a growing database of over 12,000 babysitters and nannies across Canada. The SOSsitter website enables parents to instantly search for a nearby babysitter, nanny, senior caregiver and pet sitter. The robust-database of sitter profiles includes the sitter’s photo, detailed personal information, experience summary, references, reviews by parents, and more. Parents can also find a reference, perform a background check, and then contact sitters directly to choose the most suitable sitter for their needs. Since launching the service, SOSsitter has come to the rescue of thousands of parents. The mobile application is designed from the ground up with mobile users in mind. It is very user friendly, focuses on the most common tasks that parents need access to, and keeps the data on-screen to a minimum for easy review and scanning. 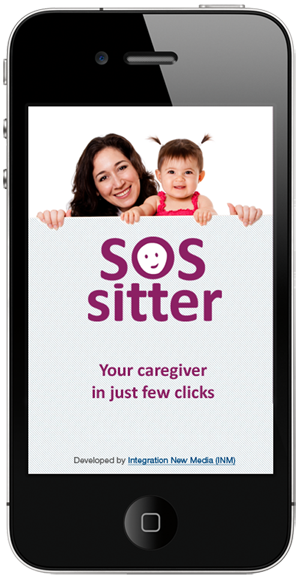 The app’s simple search functions, easy-to-scan information and ability to immediately connect with sitters by both phone and email make this application a must-download for busy parents. The SOSsitter iPhone app is available now for free in the Apple App Store. 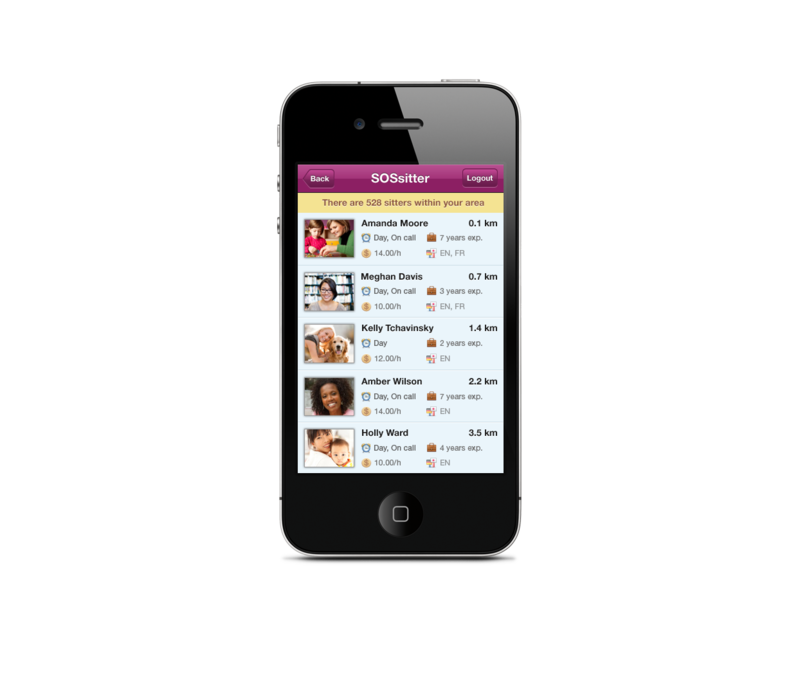 SOSsitter is a bridge between caregivers and families. This user-friendly site provides a fast, reliable, efficient connection with caregivers. It enables anyone who’s looking for a caregiver for children, the elderly or pets for occasional or regular basis with an inventory of qualified and available resources. A winner of the Mothers in Business 2011 Award, SOSsitter has experienced steady growth since its launch in November 2009. The service, which operates as SOSgarde in Quebec, now has over 12,000 sitters across Canada. For more information, visit http://www.sossitter.ca/.